Many people buy something new which not only is costlier and makes little sense, particularly when you can refurbish the same in the most inexpensive way and flawlessly. The same holds true for Photovoltaic (PV) solar panels which can be refurbished easily. There are many people who prefer to use clean energy especially solar power, but the investment being so high that people feel it to be big hindrance. Using solar panels at home need a huge investment which might run into thousands of dollars, which might not include all the equipment and adaptors. In such a situation, refurbishing is an excellent idea. This is an excellent way to recycle the material and help the environment. You have many options like purchasing the refurbished material for the solar panels from large business houses or from online or offline traders who deal in such equipment. You may even go for partially broken or used solar panels or you can build your panel cell by cell. But before doing all these things, you must take some precautions, the old panels though cheaper occupy larger space as the new panels are small and occupy less space, so the newer panels will cost you more. Some broken panels can be simply refurbished by soldering and repaired, this will ensure that you really get value for money; even solar panels which are two decades old can still be used and are quite strong after refurbishing. Just ensure that these panels are in good condition, such moves are beneficial financially as there are huge incentives given in tax by the Government by shifting to solar energy. The incentives are so huge that anybody can easily get attracted to such an incentive, many Governments across the world, in order to boost and encourage the use of solar energy offer huge discounts and tax credits which runs into thousands of dollars. It would be in your own interest to buy a complete new solar system which will give you huge discounts and such incentives may not be available on the refurbished system. Shifting to solar power is not only in your own interest, but simultaneously you are contributing to the environment. Solar power is not only neat and clean energy but is available in abundance; this will not only provide energy to homes but also save the environment. Proper installation of solar panels, adapters and corresponding switches will also ensure that your home or business establishment gets uninterrupted power. Governments across the world are working very hard to offer various incentives, subsidies and tax benefits. You must wisely choose a system which will meet your energy needs and at the same time help the surroundings. There are many people who have successfully used solar power to meet their energy requirements and have taken full advantage of the Government policies on solar energy. There are many benefits with solar energy, one that it is available throughout a year, second it is free. You will recover your cost in few years by shifting to solar energy; you may even sell the surplus energy to the neighborhood to recover the cost faster. 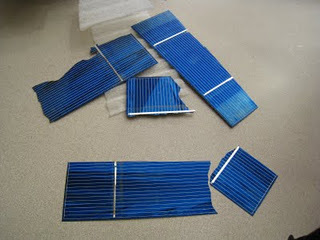 Do you want to know how to build a solar panel using refurbished PV cells? If you do, check out Ben Ford Homemade Solar ebook. The guide will show you the step by step process with High Definition (HD) instructional videos. Click on the link below to visit Ford’s web site right now. 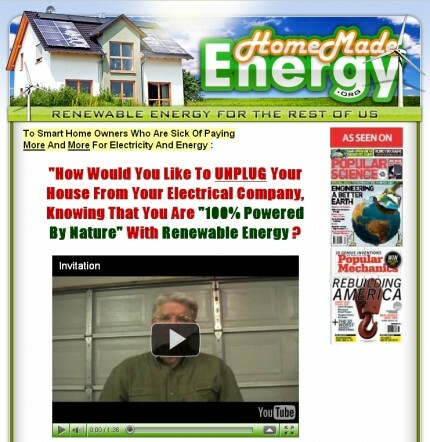 ==> Click here to visit Ben Ford’s Homemade Energy!